If you or someone you know has a disability that makes using a Mac computer a challenge, you might not be aware of the many default assistive technology resources and tools available in Mac OS X and Apple mobile devices. 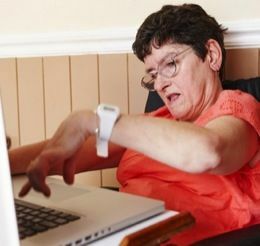 Apple has provided standard features such as magnification tools, speech commands, audio assistance cues, and mouse and keyboard configurations for Mac users with low visual, hearing, or physical and motor skill disabilities. All these Mac disability support resources are included by default in the Mac operating system, plus there are several online tutorials and websites to help users understand how to use the assistive technology. Even Mac users who don’t have disabilities might find these features useful””such as the speech command features that allow you to navigate your computer without using the mouse or trackpad. One of the most useful tools for Mac users with disabilities is the Universal Access features, which can be found in System Preferences > Universal Access. When you first enable these tools, you’re welcomed to an on-screen tutorial guide for how to use its features. For example, enabling the Seeing tool provides the visually impaired or those with learning disabilities the ability to magnify a desktop screen for easier viewing. This feature has options for the range of zoom and how the screen image moves in relationship the mouse. It also, of course has keyboard shortcuts for turning the feature on and off. Another way to enlarge the screen for those with low vision is to open System Preferences > Displays and change the resolution size of the screen, from the actual size to a smaller size, making the font and icons much larger. Similarly, in Mac OS X”˜s Address Book, users with impaired vision may Control-click on a phone number label and select “Show in Large Type” to get a really huge display of a selected phone number. Also, in Safari’s Preferences, users can click the Advanced tab and change the minimum font size for the rendering a web page, from say 14 points to 18. For Mac users with hearing disabilities, the OS X’s Calculator features a speech command that will announce the numbers as they are pressed on the keypad. 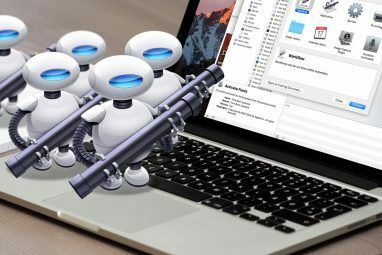 Also check Jeffry Thurana’s how-to article on using the Mac’s popular Speech Commands features How To Use Speech Commands on Your Mac How To Use Speech Commands on Your Mac Read More which allow users to navigate any Mac without using a mouse. The resources described above are only a handful of the more than 50 other tools available for Mac users are disabilities. These features are all built into the Mac OS X operating system. 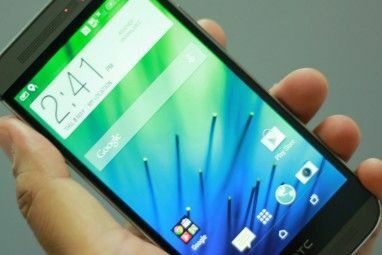 Other tools enable users to customize the type of digital voice used for speaking and text commands, as well as use the numeric keypad of a keyboard to control the VoiceOver commands. VoiceOver also has interactive tools to help you get started with its features. In addition, Apple provides a great set of video tutorials explaining how to use of accessibility features, including Voice Over, screen magnification, mouse and trackpad sensitivity, and audible keyboard cues. ATMac.org is also a useful site dedicated to providing reviews, how-tos, and other resources for Mac users with disabilities, chronic illness, or other impairments. Many of the assistive technology resource described above can also be found in Apple”˜s mobile iOS 4 devices””the iPhone, iPod touch, and the iPad. Tapping on the Settings app > General > Accessibility will provide similar Mac options for VoiceOver cues, zooming, and audible aide assistance. I’m quite certain there are other enhancements Apple could make to further assist Mac users with disabilities, but it looks as though the existing features are great start. Let us know of other resources that might be helpful. and some resources, free resource about Apple iphone, ipod, ipad, mac is suitable for everyone. DynaVox Technologies makes tons of devices for users with disabilities. They even have an eye tracking system for users that can't use their extremities. KH, thanks for noting this resource. I usually keep my mind on iFunia source site. I do think most OS has features for people with disabilities as this is rather endemic to software companies nowadays. But I am glad that it had been featured for Mac since most people does not how that there is such a feature. Ben, I agree, I found that many of these features are hidden in the system, but at least Apple has made a great effort to provide them.